Employee benefits communications are essential to promote any benefits program. And the best way to create effective communications is to have a solid strategy in place. It’s easier than you think. In this podcast, Benz Communications Founder and CEO Jennifer Benz walks us through six simple steps for creating a standout benefits communication strategy that will ensure your programs get the attention they deserve. For more information, you can download the guide at BenzCommunications.com. 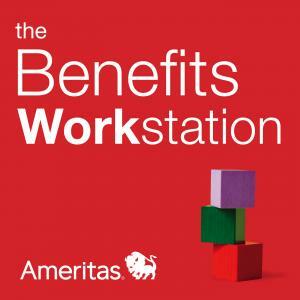 Learn more about employee benefits and well-being at AmeritasInsight.com. © 2017 Ameritas Mutual Holding Company. Ameritas Life Insurance Corp. In New York, Ameritas Life Insurance Corp. of New York.